The Foundation of Knights of Carmel Mission, Inc. is a 501(c)3 non-profit registered with the Internal Revenue Service and the State of California. The Foundation of Knights was formed to allow brother knights, parishioners and friends the opportunity to donate and support the projects endorsed by the Knights of Columbus of Carmel Mission and receive the permitted tax benefit. Friends of the Urban Forest’s mission is to promote a larger, healthier urban forest as part of San Francisco’s green infrastructure through community planting, tree care, education, and advocacy. 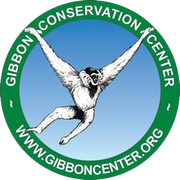 Our mission is to promote the conservation, study and care of gibbons though public education and habitat preservation. Transforming lives through the power of work – We serve people with disabilities or other vocational challenges, as well as businesses, by providing education, training, work experience and job placement services. To be a gospel proclaiming, equipping, nurturing, and sending church, transformed by the redeeming work of Christ and empowered by the Holy Spirit.